Looking to save millions by refinancing its debt, the city is working on a potential question for the 2018 ballot to seek residents’ opinions on the matter. According to city code, Boulder City cannot incur any new debt of $1 million or more without voter approval. Refinancing existing debt is considered new debt. Currently, the city has one remaining debt of approximately $26.1 million in principal for its raw water line. It also has approximately $9.8 million more debt in interest for that loan. At the Dec. 12 City Council meeting, City Clerk Lorene Krumm said the city’s bond counsel would not give the city a favorable opinion, which would allow the debt to be refinanced, without voter approval. According to Krumm’s staff report, the city’s financial adviser, Marty Johnson, approached the city in 2016 and estimated the city could have saved more than $3.5 million had it refinanced that debt then. If refinanced within the next year, and depending on interest rates at that time, the city could save an estimated $2.5 million to $2.75 million. The city has already taken previous measures to reduce its cost incurred when the raw water line was built in 2001 to increase the capacity to deliver water because of higher demand. In November 2016, Boulder City voters approved a ballot question 58 percent to 41 percent that allowed the city to use capital improvement funds, as they became available, to pay down the debt on the line. Councilman Rich Shuman said he likes the idea of refinancing the debt to save money and water to ensure the city had voter approval first. “We’re missing out on millions of dollars of refinancing debt. … That just kind of bothers me,” he said. 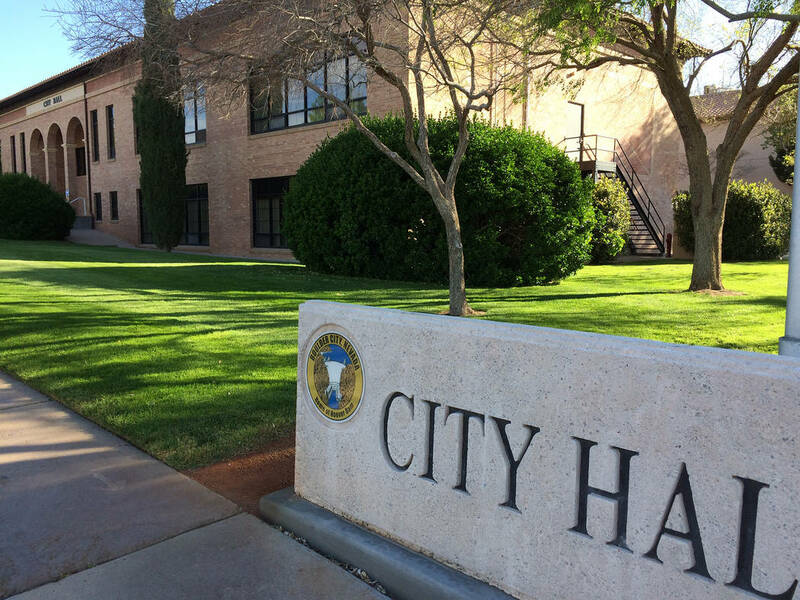 Mayor Rod Woodbury said he doesn’t believe that voters intended to make a city unable to refinance a debt without their approval and that the bond counsel was erring on the side of caution regarding issuing a favorable opinion. Councilman Kiernan McManus said he favors structuring the question so that new debt for the same amount could be incurred in order to pay off old debt, resulting in interest savings, without voter approval. “It seems to make a lot of sense, and we could be losing money by the minute as we talk about it,” he said. The council unanimously approved having acting City Attorney Steve Morris draft a question that would allow new debt when it would exactly pay off the old debt so the city could get refinancing as needed. The council also approved a second ballot question, to be sent to the Charter Commission, that would update a section of the charter to bring it in accordance with state law. Krumm said she expects the city to approve the questions at its second meeting in January.